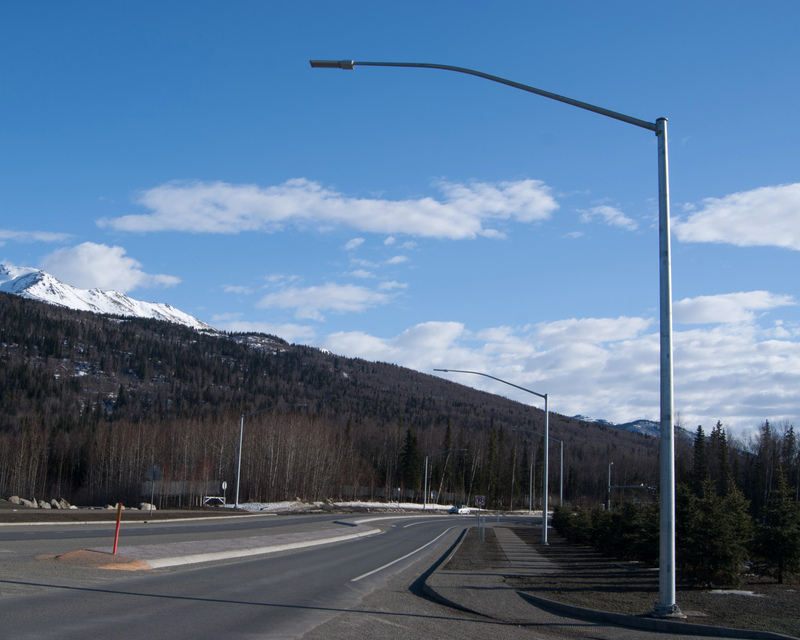 Yosemite Drive Upgrade: Eagle River Road to Yellowstone Drive | Engineering Design & Consulting, Inc.
EDC provided electrical engineering design for roundabout lighting and continuous roadway lighting along West Dimond Boulevard. All lighting was accomplished using LED technology. The project also included providing two new load centers and utility coordination.